April showers bring May flowers and…allergies. Do you know what you are allergic to? If not, we can help. How can you determine if your symptoms are allergies or something else? Learn how to prepare for the onslaught of spring and how testing and changes in nutrition can help boost your immunity levels. “More than 50 million Americans have experienced various types of allergies each year. Allergies are the 6th leading cause of chronic illness in the U.S.,” the AAFA said. 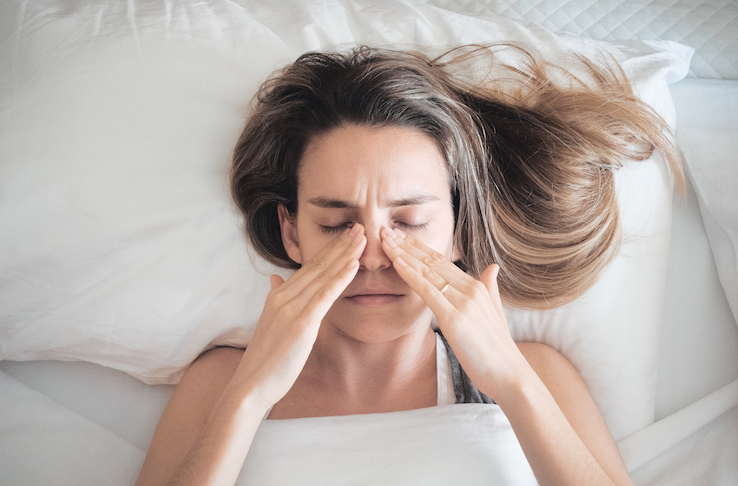 Watch out for the following signs and symptoms to know if you are suffering from allergies and then give Balanced Well Being Healthcare a call to get help–there is no need to stay uncomfortable! Tree pollination starts in February, followed by grass pollination later on in spring. Spring showers feed molds and similar allergens so they are more abundant, reports the American College of Allergy, Asthma & Immunology. Do you find yourself sneezing, chasing a runny/stuffy nose, or pinned down under the weight of head and chest congestion. What about swollen lymph nodes, itchy or watery eyes, fatigue, digestive or bowel issues coughing, and/or aching? If these symptoms sound familiar chances are high that your immune system is reacting to an allergen (or allergens) in your area. Spring and summer months can be especially challenging for allergy sufferers since it is the time when flowers, trees, weeds and more start to come up from their long winter slumber. What Does Your Immune System do with Allergens? Your immune system is highly sensitive to foreign invaders to help fend off bacteria attacks. So what does it do when it encounters an allergen? “Allergies are the result of your immune system’s response to a substance. Immune responses can be mild, from coughing and a runny nose, to a life-threatening reaction known as anaphylaxis. A person becomes allergic when their body develops antigens against a substance. Upon repeated exposure the severity of the reaction may increase,” Johns Hopkins Medicine said. Getting help for your immune system so it doesn’t trigger these unwanted side effects is of prime importance for restoring you to your prior health and well-being. Some things recommended by the ACAAI that you can do: 1) Spring clean to rid your environment of dust and mold; 2) See an allergist to get help; 3) Use a HEPA room air cleaner rated with a Clean Air Delivery Rate (CADR); 4) If you use central air, change your air filter every three months and use filters; and 5) Keep your house and car windows shut during allergy season. “All disease begins in the gut,” Hippocrates stated over 2,000 years ago. Science agrees. Research has proven that when your gut contains more bad bacteria than good bacteria, your immune system is compromised. Chronic digestive issues also reduce the effectiveness of your immune system. Conditions like dyspepsia, acid reflux, and leaky gut can all limit how well you fend off disease. Balanced Well-Being Healthcare can improve the health of your immune system by helping you restore the healthy function of your gastrointestinal system. During your in-office consultation, we can also counsel you on ways you can boost your immunity through dietary and lifestyle changes. Our functional medicine approach to treatment improves your health, for the long-term. We give you the tools to heal for a lifetime of wellness. Learn how you can benefit from functional medicine today by calling 970-631-8286 and discover how healthy you are on a biochemical, molecular level. Learn strategies and tips to balance your body physically, mentally and emotionally so you can have what you need for total body wellness.